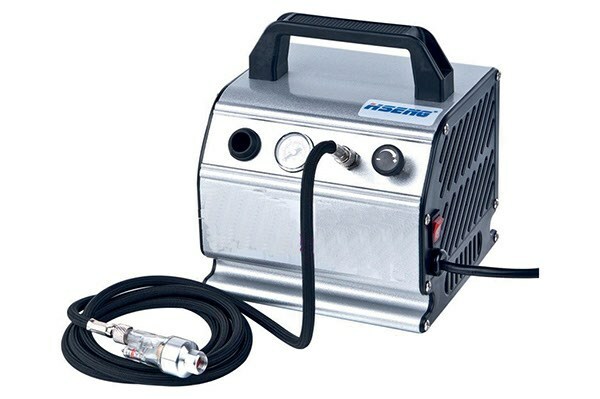 Airbrush compressor AS176, which have 4 patents, together with airbrush, (0.2mm to 0.5mm) can be widely used in craftwork spraying, cosmetics, tattoo, tanning, hobbies/models, fingernail painting, and general airbrushing. 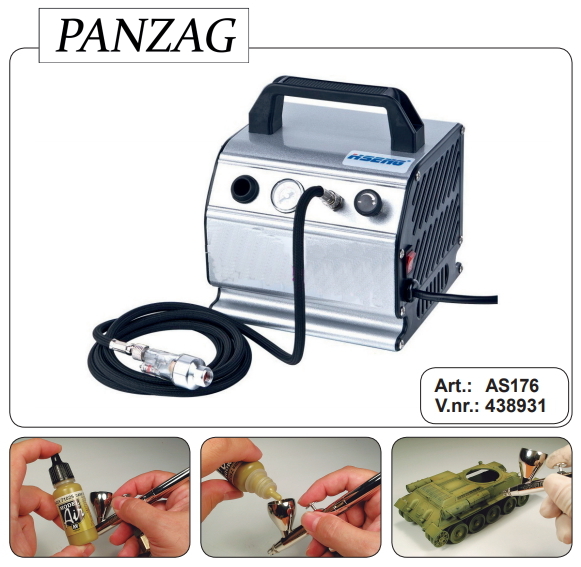 Suitable for: Airbrush 0.2 to 0.5 mm. 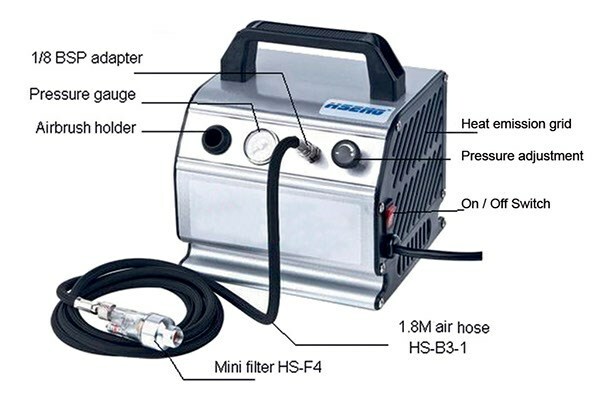 Air tank inside, make the ai flow smooth.